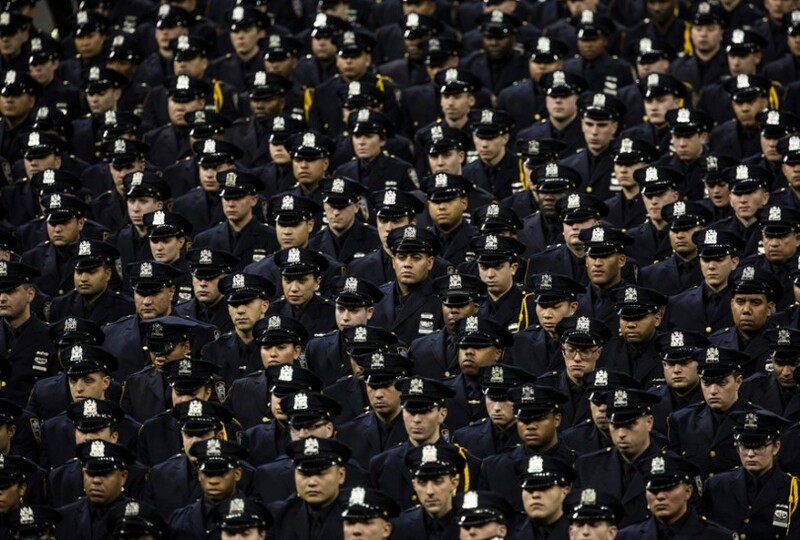 New police recruits attend the New York Police Department (NYPD) graduation ceremony on December 29, 2015 at Madison Square Garden in New York City. More than 1,000 new graduates joined the police force. Every morning before his shift, Edwin Raymond, a 30-year-old officer in the New York Police Department, ties up his long dreadlocks so they won’t brush against his collar, as the job requires. On Dec. 7, he carefully pinned them up in a nautilus pattern, buttoned the brass buttons of his regulation dress coat and pulled on a pair of white cotton gloves. He used a lint roller to make sure his uniform was spotless. In a few hours, he would appear before three of the department’s highest-ranking officials at a hearing that would determine whether he would be promoted to sergeant. He had often stayed up late worrying about how this conversation would play out, but now that the moment was here, he felt surprisingly calm. The department had recently announced a push to recruit more men and women like him — minority cops who could help the police build trust among black and Hispanic New Yorkers. But before he could move up in rank, Raymond would have to disprove some of the things people had said about him. Over the past year, Raymond had received a series of increasingly damning evaluations from his supervisors. He had been summoned to the hearing to tell his side of the story. His commanders had been punishing him, he believed, for refusing to comply with what Raymond considered a hidden and “inherently racist” policy. Hours crawled by. Finally, a sergeant announced that the officials — “executives,” as they’re known in the department — were ready to see them. One by one, the officers entered a conference room. Raymond saluted the executives and stated his name. Then the executives began to speak. Beneath the stiff woolen shell of Raymond’s dress coat, tucked away in his right breast pocket, his iPhone was recording their muffled voices. Over the last two years, Raymond has recorded almost a dozen officials up and down the chain of command in what he says is an attempt to change the daily practices of the New York Police Department. He claims these tactics contradict the department’s rhetoric about the arrival of a new era of fairer, smarter policing. In August 2015, Raymond joined 11 other police officers in filing a class-action suit on behalf of minority officers throughout the force. The suit centers on what they claim is one of the fundamental policies of the New York Police Department: requiring officers to meet fixed numerical goals for arrests and court summonses each month. In Raymond’s mind, quota-based policing lies at the root of almost everything racially discriminatory about policing in New York. Yet the department has repeatedly told the public that quotas don’t exist. NYPD Supervisors still fixate on more stops, more summonses, and more arrests. From 2001-2013 black & Hispanic people were over 4 times as likely as whites to get summonses for minor violations. Since January 2014, the start of the two-year period during which Raymond made most of his recordings, the department has been led by Police Commissioner William Bratton, who has presided over a decline in summonses and arrests even as crime levels have remained historically low. He has revamped the department’s training strategy and has introduced a new program that encourages officers to spend more time getting to know the people who live and work in the neighborhoods they patrol. Chief of Department James O’Neill told me that the expectations of officers have changed. “Whatever arrests we make, whatever summonses we write, I want them connected to the people responsible for the violence and crime,” he said. The department is now focused on the “quality” of arrests and summonses rather than the “quantity,” he said. Raymond and his fellow plaintiffs will try to prove otherwise. The suit accuses the department of violating multiple laws and statutes, including a 2010 state ban against quotas, and the 14th Amendment, which outlaws racial discrimination. It asks for damages and an injunction against the practice. Although plaintiffs in other cases have provided courts with evidence suggesting the department uses quotas, this is the first time anyone has sued the department for violating the 2010 state ban against the practice. "But [the rank and file] don't have a voice," Modell added. "If they speak out, they get crushed." Black and Latino officers have long contributed rare voices of dissent within a department that remains predominantly white at its highest levels. Raymond has cultivated a friendship with Eric Adams, a former police captain and the current Brooklyn borough president, who founded, during his time on the force, 100 Blacks in Law Enforcement Who Care, an organization that advocates for law-enforcement professionals of color. Adams has had a hand in several recent policing reforms. As a state senator, he sponsored the bill that led, in 2010, to the New York ban against quotas for stops, summonses and arrests. Then, in 2013, he joined several current and former minority officers in testifying against the department in the landmark stop-and-frisk case Floyd v. City of New York, which culminated with a federal judge’s ruling that the department had stopped and searched hundreds of thousands of minority New Yorkers in ways that violated their civil rights. I recently spoke to Daniel Modell, a retired lieutenant who in 2014 testified to the grand jury in the case of Eric Garner, the Staten Island man who was killed during an encounter with the police. Modell, who is white, said the frustration is departmentwide. “It’s not only black and Hispanic officers,” he said. “The rank and file generally, they’re utterly demoralized and critical of the department. Raymond grew up in East Flatbush, a West Indian neighborhood of wood-frame houses and brick apartment buildings in Brooklyn. A few blocks from his building was a corner that residents nicknamed “the front page” because of the many murders that ended up in the papers. Raymond remembers stepping over a dead body, blood pooling on the floor of the building lobby, to get to school. His father, a Haitian immigrant who barely finished grade school, managed to keep the kids well fed for a while, but then, when Raymond was 3 and his brother was 4, their mother died of cancer, and then their father lost his job at a paper factory. He fell into a depression and never worked again. Raymond and his brother often went to bed hungry, a feeling Raymond remembers as “sadness mixed with a headache.” Sometimes a neighbor, Florise, a single mother of two from Haiti, gave them something for dinner; Raymond came to see her as an aunt, and Billy Joissin and Melissa Baptiste, her children, as his cousins. Other mothers in the neighborhood occasionally helped care for Raymond. In a very real sense, the neighborhood raised him. Starting at 14, he spent 45 hours a week bagging groceries and stocking shelves after school and on the weekends. Raymond saw what the crack trade had done to the neighborhood and wanted no part of it. His friends say he had a powerful, even rigid sense of morality, lecturing them about the dangers of drugs and gangs, refusing to try even a puff of weed. “We always tell him he’s different,” Baptiste says. Joissin noted wryly that Raymond was “not afraid to not be popular and to not be liked.” His unwavering rectitude kept the gangs from bothering him. The police, however, were a different story. “As soon as I had a little hair on my chin, I was getting stopped almost once a week,” he says. The book, a work of Afrocentric history by Chancellor Williams, is a classic of its genre. Raymond still recalls “the pride that rushed through your veins” as he realized, he says, that the history of black people didn’t begin with slavery. In high school, his work schedule got in the way of his studies, and he had never liked reading. Now he couldn’t get enough of it. He read Malcolm X and Marcus Garvey. He says he started an email correspondence with Tim Wise, an activist and writer known for his books on critical race theory. As he read that the slave patrols of two centuries ago had evolved into the police departments of today, it occurred to him that the cops who stopped him in his youth weren’t intentionally racist; they were merely complying with the demands of a system that was “historically rooted in keeping you down.” Then, in 2008, he joined the system himself. Legally, individual officers have the power to decide how to deal with certain minor offenses. Some officers, trying to increase their totals of summonses and arrests for the month, hide in bathrooms and closets meant for subway employees, peeking out through vents so they can jump out at anyone foolish or desperate enough to vault the turnstiles. If the offender, typically a teenager, lacks an ID or has a criminal record, the officer can make an arrest. According to a recent analysis by the advocacy group the Police Reform Organization Project, 92 percent of those arrested for theft of service in 2015 were black, Hispanic or Asian. Those offenders who aren’t arrested are generally summoned to court to pay a $100 fine. If they fail to pay it or forget the court date or miss an appearance for any reason, the judge signs an arrest warrant. Raymond didn’t hide on the job. At the academy, he says, future officers were trained to remain “present and visible” while working in uniform, partly so passengers could find a police officer when they needed one. On Oct. 8, 2015, for example, a group of teenage girls approached Raymond at the Pennsylvania Avenue stop in Brooklyn and pointed out a man who had been following them. Had Raymond been hiding, he says, they might never have found him. Raymond stopped the man, asked him some questions and ultimately arrested him for stalking. Raymond didn’t shy away from confrontation when it was necessary. While he was still at the academy, the department awarded him a badge of honor for breaking up a street fight during one of his lunch breaks, grabbing a metal pipe from one of the brawlers and pinning him to the ground. “When it’s time to get busy, I get busy,” he says. He says he typically stopped about three people a day, mostly for little things like holding the doors at a station. But usually he let them go with a warning. He worried about how an arrest could follow a kid through life. Raymond realized that his supervisors didn’t approve of his approach. Some of them came right out and told him he was dragging down the district’s overall arrest rate, and said they had been taking heat from their own bosses as a result. In the summer of 2010, a commander stuck him with the weekend shift at Coney Island, the sort of unwanted job that cops call a “punitive post.” Other undesirable assignments followed: sitting around with psychotic prisoners in psychiatric emergency rooms, standing at “fixed posts” on specific parts of subway platforms with orders not to move, staring at video feeds of the tunnels from the confines of an airless booth called “the box.” As the pressures intensified over the next few years, Raymond decided he needed to do something to protect himself — even though it could also put him at greater risk. Convinced that his supervisors were punishing him unlawfully, and fearing for his reputation, he started to record his conversations. The practices that Raymond opposes began as solutions to the problems of another era. In 1994, when William Bratton started his first tour as the head of the department, the department was reeling from corruption scandals, and officers were discouraged from spending too much time in high-crime neighborhoods, lest they succumb to bribery. In the absence of a strong police presence, drug dealers operated in the open, and residents who complained risked incurring their wrath. Crack vials littered schoolyards, and police officers were still “giving freedom of the streets to the drug dealers, the gangs, the prostitutes, the drinkers and the radio blasters,” Bratton later wrote with one of his advisers in the conservative quarterly City Journal. The crack trade in East Flatbush was so rampant that Raymond and his brother would fall asleep counting gunshots. Bratton’s solutions to these problems would make him famous. A self-described innovator, he embraced the “broken windows” theory of policing — the idea that the police could cut down on serious crimes by making it clear that even the trivial ones wouldn’t go unpunished. To hold officers accountable to this philosophy, especially in neighborhoods they had once neglected, Bratton tasked a transit lieutenant, Jack Maple, with developing a management system that kept careful track of arrest and crime statistics throughout the city. The system, called CompStat, short for “compare statistics,” was often credited for the drop in crime that followed. By the time Bratton left New York in 1997, New York’s murder rate had fallen by half. Cities from Chicago to Sydney hired Bratton and his protégés as police chiefs and consultants. Today, most large American cities use some form of CompStat. Others tried to show they were being "proactive"; invariably this meant more stops, more summonses, more arrests. Eli Silverman, a police-studies professor at John Jay College of Criminal Justice, was an early apostle. 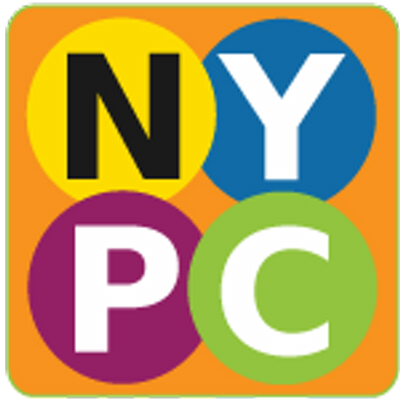 Silverman lauded CompStat in his 1999 book “N.Y.P.D. Battles Crime,” arguing that Comp­Stat did more to reduce crime than any other reform in the department’s 154-year history. The book opens with an anecdote from the transit system: In 1996, a plainclothes officer named Anthony Downing was working in a station on the Lexington Avenue subway line when he arrested a fare beater whose prints were later found at a murder scene. Before the CompStat era, when no one was keeping track of minor offenses, Downing would have had little incentive to stop someone for jumping a turnstile, and the fare beater, it follows, might have gotten away with murder. Silverman still calls himself a CompStat supporter, but by 2001, when he published a second edition of the book, a number of police officers had written to him to say that the “revolution in blue,” as Silverman styled it, wasn’t all it seemed. Intrigued by their claims, Silverman and a fellow criminologist and retired New York Police Department captain, John Eterno, set out to see if they could arrive at a more detailed understanding of how the system worked. In 2008 and again in 2012, they sent out questionnaires to retired members of the department. More than 2,000 wrote back. The results were clear: Officers who had worked during the CompStat era were twice as likely as their predecessors to say that they had been under intense pressure to increase arrests, and three times as likely to say the same about the pressure to increase summonses. In the 2000s, as violent crime hit historic lows, Mayor Michael Bloomberg, Police Commissioner Raymond Kelly and other city officials kept pressuring the department to drive the crime rate even lower, an expectation that became harder and harder to meet. In districtwide CompStat meetings, executives interrogated commanders about their violent-crime statistics. Some commanders tried to protect themselves by underreporting or reclassifying major crimes. Others tried to show they were being “proactive”; invariably this meant more stops, more summonses, more arrests. Most of this activity took place in minority neighborhoods. In predominantly black Bedford-Stuyvesant, Brooklyn, for example, officers issued more than 2,000 summonses a year between 2008 and 2011 to people riding their bicycles on the sidewalk, according to the Marijuana Arrest Research Project, a nonprofit that studies police policy. During the same period, officers gave out an average of eight bike tickets a year in predominantly white and notably bike-friendly Park Slope. All told, between 2001 and 2013, black and Hispanic people were more than four times as likely as whites to receive summonses for minor violations, according to an analysis by the New York Civil Liberties Union. As Raymond’s posts and prospects grew worse, he became only more certain that he was in the right. Even as he handed out fewer summonses and made fewer arrests, few serious crimes were reported in the areas he patrolled, he says. He believed that if he could get out from under the lower-level supervisors, at least some officials at the highest levels of the department would recognize that he was the right kind of officer for New York. He decided to try for a promotion. In December 2012, he began studying for the exam given to aspiring sergeants. The results of the test, which he took in September 2013, could hardly have been more promising. Out of about 6,000 test takers, just 932 passed, and Raymond placed eighth. A month into his term, Bratton began enlisting teams of thinkers from on and off the force to brainstorm ideas for improving the department. Oliver Pu-Folkes, a black captain who had met Raymond through a mutual friend and had been impressed, appointed Raymond to a team focused on building relationships in black and Hispanic communities. Raymond was the lone rank-and-file officer asked to participate. That fall, inspired by the work, he and a friend formed an organization of their own, PLOT (Preparing Leaders of Tomorrow), offering mentorship services to black teenagers in Brooklyn. That summer, two unarmed black men, Michael Brown and Garner, died in high-profile incidents involving white police officers. A wave of protests spread through the country, and President Obama, responding to the public outcry, lamented the “simmering distrust that exists between too many police departments and too many communities of color.” A Justice Department official who had heard about PLOT invited Raymond and his partner to attend a conference on race and policing in Washington. After so many years of being ignored or, as he saw it, punished for his ideas, Raymond was suddenly at the center of a conversation of national importance. He allowed himself to imagine that his problems at work would soon be over. Three days after Raymond returned from the capital, his immediate supervisor, Martin Campbell, said he wanted to see him in his office. Raymond felt that something wasn’t right. Raymond had previously gotten the impression that Campbell, a black sergeant from Trinidad, privately deplored the constant push for numbers, but he also believed that Campbell, who had been in his position for only a year, was under the same pressure to deliver the numbers as everyone else. Fearing another punitive assignment, Raymond waited for Campbell to step into the office. He took out his phone and turned on an audio-recording app, then slid the phone back into his pocket. In his office, Campbell gestured toward his computer screen. Raymond saw that the sergeant had given him something called an interim evaluation. Officers typically receive four quarterly evaluations a year plus an annual every January, but in exceptional circumstances, supervisors will sometimes write an additional report, usually as a way of signaling to the command that the officer was caught doing something egregious, even committing a crime. Just getting one of these reports was bad enough. Now Raymond saw that out of a maximum score of five, he had received only a 2.5, an abysmal grade. A score that low could block his promotion or lead to his being fired. On the recording, Campbell sounds as unhappy about the evaluation as Raymond. He insists that his direct superior told him what to write, and suggests that she, in turn, did so under orders from her own supervisor, Natalie Maldonado, the district commander. Although Raymond hadn’t yet heard of the lawsuit, he knew about other officers who had sued the department or had testified against it in court, among them Adrian Schoolcraft, whose secret recordings of his commanders were detailed in a five-part series in The Village Voice in 2010. Raymond knew his recordings wouldn’t carry much weight unless he got his supervisors to call the banned practice by name. And yet that wasn’t it — at least, Raymond didn’t think so. There were other officers in the district, not many, but some, whose numbers were even lower than his. “You really want me to tell you what I think it is?” Campbell asked. “I never seen anything like this, bro,” Campbell said. Raymond filed an appeal of his evaluation right away, but before it could make its way to Maldonado’s desk, she was transferred out of the Transit Bureau to a more coveted post. It was around this time, in the summer of 2015, that Raymond heard about the lawsuit, which had just been filed. Until then, Raymond had felt alone. Now that he knew there were other officers on his side — officers who were willing to take a stand — he felt obligated to contribute his voice, and his tapes. He still wanted to believe he could rise within the department, so he signed on quietly. Other than a few friends and his fellow plaintiffs, no one knew he had joined the suit, and no one, other than the lawyer, knew about his recordings. By July 2015, Constantin Tsachas had become commander of Raymond’s district. According to Raymond, Tsachas hadn’t even moved all his boxes into the office when he began occupying himself with the problem of what do about the uncooperative officer in his command. On Aug. 3, Campbell told Raymond he had gotten a call from Tsachas at home. Campbell says Tsachas told him to write yet another brutal interim evaluation, this time dropping Raymond’s grade from a 2.5 to a two. Tsachas also told him to rewrite Raymond’s annual evaluation for 2014. Tsachas would later tell Raymond that the original version, which Campbell gave Raymond at the start of 2015, was never finalized. "So what’s the definition of ‘proactive’?" Raymond asked. "You know what ‘proactive’ is," Tsachas said. “So what’s the definition of ‘proactive’?” Raymond asked. “You know what ‘proactive’ is,” Tsachas said. As Raymond interpreted it, Tsachas was suggesting that he focus on arresting blacks and Latinos, as opposed to Asians or whites. “The 14th Amendment says we have to be impartial,” he said. Tsachas began trying to clarify his statement. “It didn’t come out the way it’s supposed to,” he said. He went on to talk about “no IDs” and low-level arrests. According to Raymond, Smith, who is black, screwed up his face in disgust. Raymond lives in a one-bedroom apartment in a new building in East Flatbush, near where he grew up. On the walls were paintings and photographs of Malcolm X and Haile Selassie; on the shelves were books by Marcus Garvey and Ta-Nehisi Coates. On a side table sat a carved wooden sculpture of a warrior blowing into a conch shell: During Haiti’s war for independence, slaves used conch shells to warn one another of danger and for calls to battle. Despite everything, Raymond still wanted to believe he might somehow have a future in the force. He found it hard to imagine that the department’s leaders would reject him just because of his lower numbers. “Everything I do points to a job well done,” he said. Any week now, he expected the administration to begin promoting officers from his class. Raymond mentioned his direct supervisor, Sergeant Campbell. “He wasn’t comfortable with those evaluations,” Raymond said. Raymond thanked him. “I’m at service to the public at all times,” he said. “We are oathbound to serve them, and this is what I do every day.” Raymond saluted, left the building and drove to Queens to meet a friend. “I didn’t want to be alone,” he told me. At some point that day, the executives would decide whether his service was good enough to warrant a promotion. Bratton himself would review their recommendation and sign off by the end of the week. On Dec. 10, a sergeant from the employee-management division called Raymond: He hadn’t been promoted. According to the sergeant, the executives would revisit the decision in six months. In the meantime, he would be transferred out of the subway system to the 77th Precinct in Crown Heights, Brooklyn. He didn’t look forward to this change of scenery. He knew two other officers in the 77th. They were fellow plaintiffs. When Raymond called me with the news, he was furious. He spoke of being disappointed in Bratton, who had talked so compellingly about changing the department. “I was foolish enough to believe him,” he said. He also mentioned Sergeant Campbell, who he said had refused to provide him with a letter of recommendation to show the executives. Last month, Bratton wrote in a Daily News op-ed that the police department has managed to keep crime down even as it has “cut back hugely on enforcement encounters with citizens.” This would seem to suggest that the approach to policing long practiced by Raymond is both effective and, in Bratton’s eyes, admirable. In January, the city’s legal department filed a motion asking a judge to dismiss the plaintiffs’ charge that the department is violating the quota ban, along with several other claims. A judge is expected to rule on this in the next two months. If the case, Raymond v. City of New York, proceeds, his recordings will most likely be entered into evidence. The whole proceeding could take years. But Raymond says that he will not stop pressing, even if it means trying to take the case all the way to the Supreme Court. He claims he will never settle unless the department changes its practices. “There’s no amount they could pay me to make me stop fighting,” he said. Saki Knafo is a reporting fellow with The Investigative Fund at The Nation Institute, now known as Type Investigations, now known as Type Investigations.